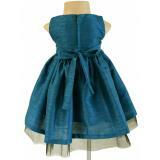 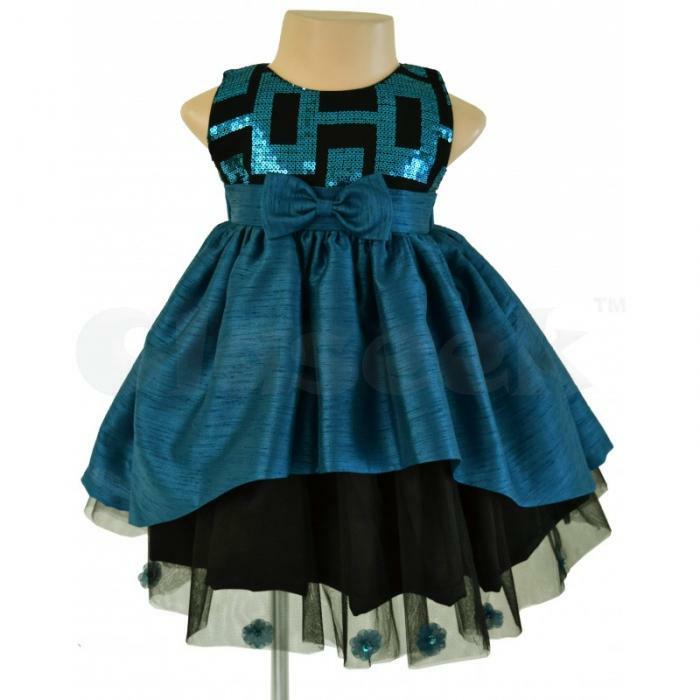 Look gorgeously stylish in these trendy and chic kids dresses from Faye. 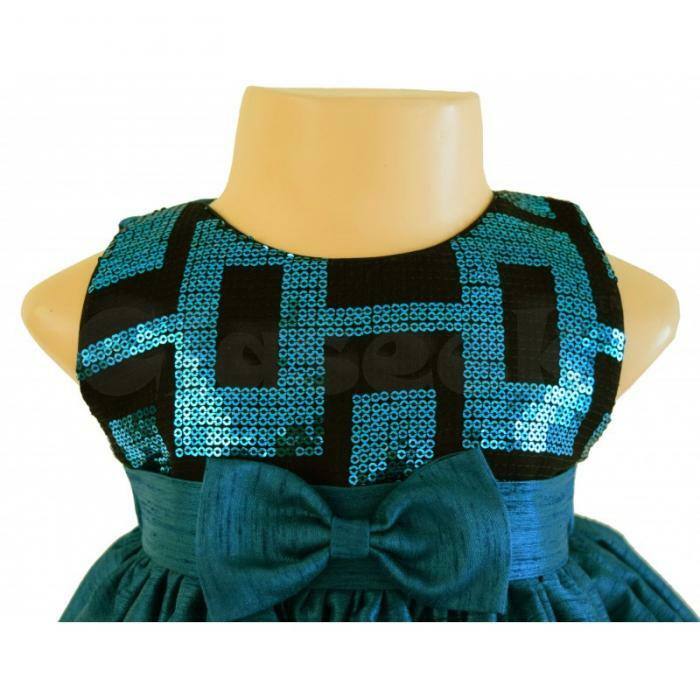 This lovely sleeveless dress has a stunning combination of teal and black. 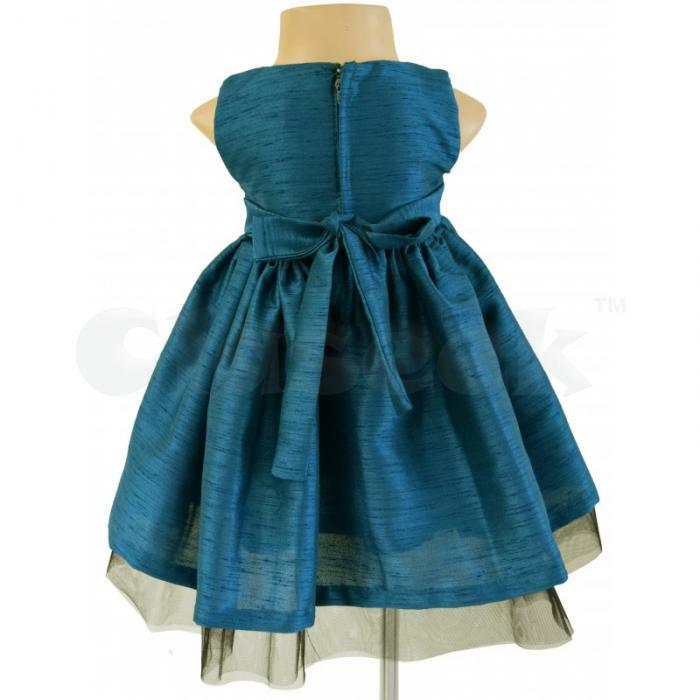 The skirt is artfully cut and has layers of net giving it a full look. Wear this dress with heels for a celebration look.